Cloud contact centre provider Aspect Software has appointed Manuel Karunakar as regional vice president for Australia and New Zealand. Karunakar claims two decades of experience in the contact centre and customer experience industry in A/NZ, having worked for companies including Alcatel, Nexon and most recently Verint-Systems. He joined Verint-Systems in 2013 and spent almos five years with the company as the business development manager. “Aspect delivers industry-leading solutions that are revolutionising customer experience and I look forward to accelerate Aspect’s growth in the region, build close relationships with our customers, partners and leading the team in ANZ to great success,” Karunakar said. Karunakar will be responsible for Aspect Software’s sales and strategy. 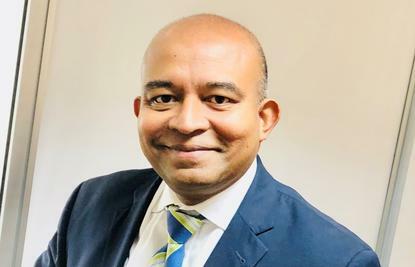 “As forward-looking enterprises seek to enhance their customer experience across multiple channels and touchpoints, Australia and New Zealand continue to play a crucial role in Aspect’s regional strategy," Aspect Software senior vice president and general manager for Asia Pacific and Middle East Krishna Arani said. In September 2015, Aspect Software appointed Kristen Pimpini as managing director for Australia and New Zealand. Pimpini left the role in March and is now the CEO at electronics components distributor Braemac.